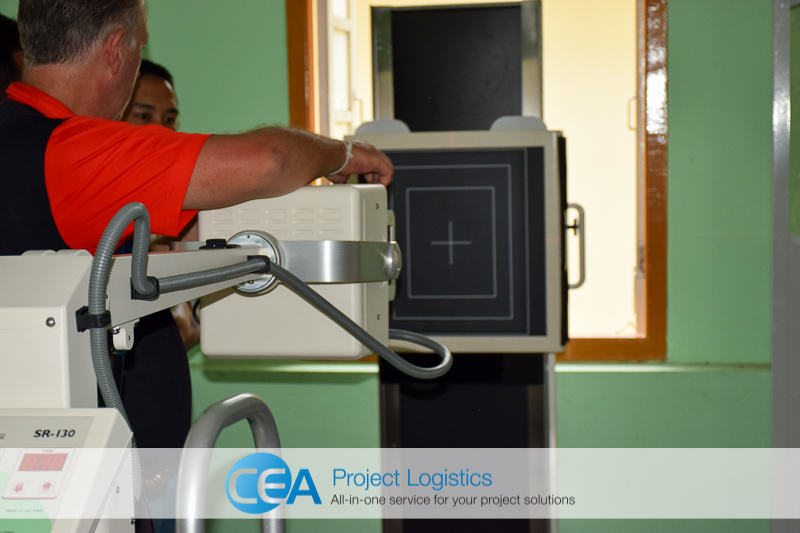 Back in March of this year, CEA Myanmar completed the delivery and installation of five portable digital X-Ray machines. These machines are helping in the early detection of tuberculosis and are vital to remote communities throughout Myanmar. Sittwe, the capital of the Rakhine State has many refugee camps and a local prison which have seen an increased rate of early detection due to the new equipment and trained operators, resulting in many lives being saved. 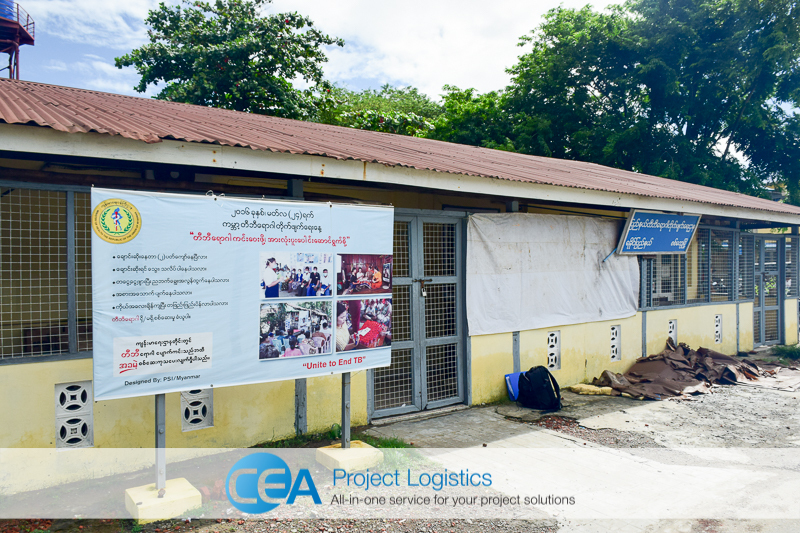 Now six months on CEA Myanmar in conjunction with UNOPS – 3MDG, and the American Procurement Service (APSCO) are continuing to support the fight against the disease in Myanmar. 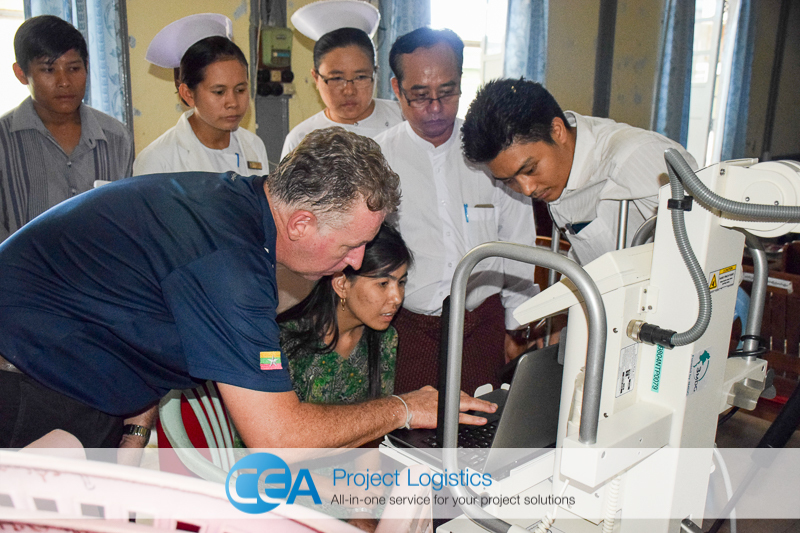 A further six digital X-Ray units were recently imported by CEA Myanmar to be put into service in five different states throughout Myanmar and the capital Nay Pyi Taw. 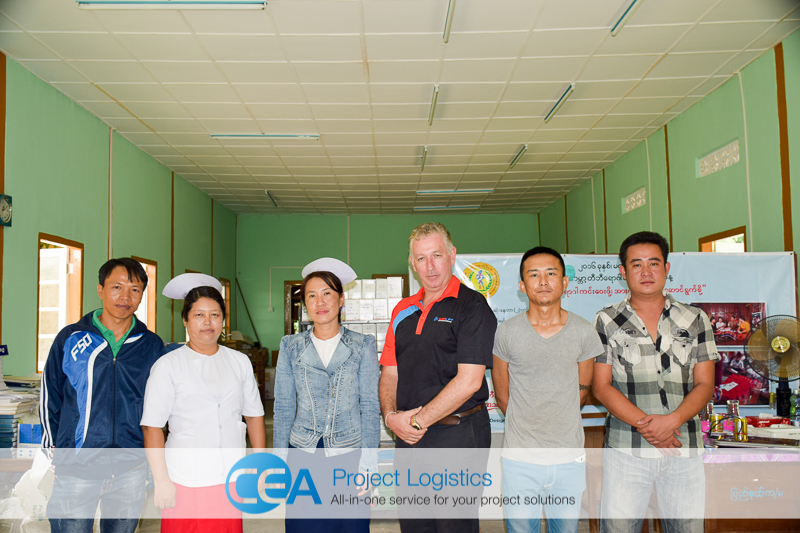 For all six installation locations, CEA Myanmar provided Customs Clearance, Transportation, Installation and operator training for the doctors and radiographers. 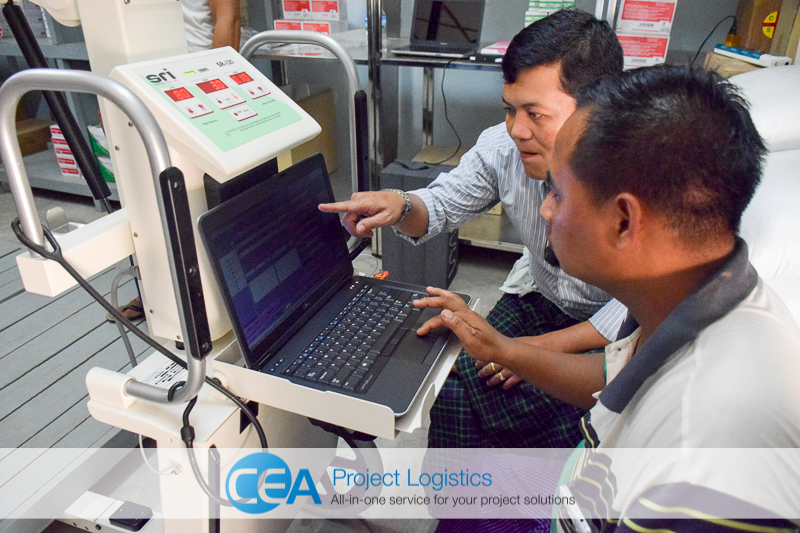 Myanmar is currently in the height of the rain season causing the roads, bridges, and highways to be frequently flooded, however, such is CEA’s experience in these conditions that all delays and detours were kept to a minimum resulting in the efficient transportation of all six X-Ray machines. The mobility of each machine is particularly advantageous enabling the teams to travel daily to surrounding townships across a greater area to detect, treat and follow-up on TB cases in the most remote areas of Myanmar. Once again CEA Myanmar is immensely proud to be involved in such a worthwhile project that will result in the improved health of the people of Myanmar.